The Citroen C5 Aircross boosted PSA in China. PARIS -- PSA Group is seeing the first effects of its plan to turn around its China operations, CEO Carlos Tavares told investors and shareholders on Tuesday. PSA's vehicle sales in China have fallen by nearly half since 2014, to 387,000 vehicles in 2017. In December, PSA promoted Carlos Gomes, head of operations in Brazil, to lead its comeback in China, the group’s third chief there since 2014. Tavares said that PSA had started an in-depth study to find out what went wrong in China. He noted that the group’s global 7.3 percent automotive operating margin in 2017 (not including Opel) came despite a lackluster performance in China, which has been a sales and earnings powerhouse for companies such as Volkswagen and General Motors. "China is probably the most delicate region we have today," he said. "Caution and optimism must go hand in hand here." PSA's vehicles sales in China increased 1.8 percent over the first quarter to 84,500, boosted by Citroen, whose volume jumped 41 percent to 34,100. About 6,000 were the C5 Aircross midsize crossover launched last fall. Peugeot brand was down 14 percent to 49,100. DS sales fell 60 percent, just ahead of the introduction of the DS7 Crossback compact SUV. Overall, PSA says it expects the Chinese market to grow by 2 percent this year. The China Association of Automobile Manufacturers, or CAAM, said the market grew by 2.8 percent in the first quarter, including 4.7 percent in March. SUV sales were up 11.3 percent, the only segment that saw double-digit growth, according to CAAM. That could help PSA. 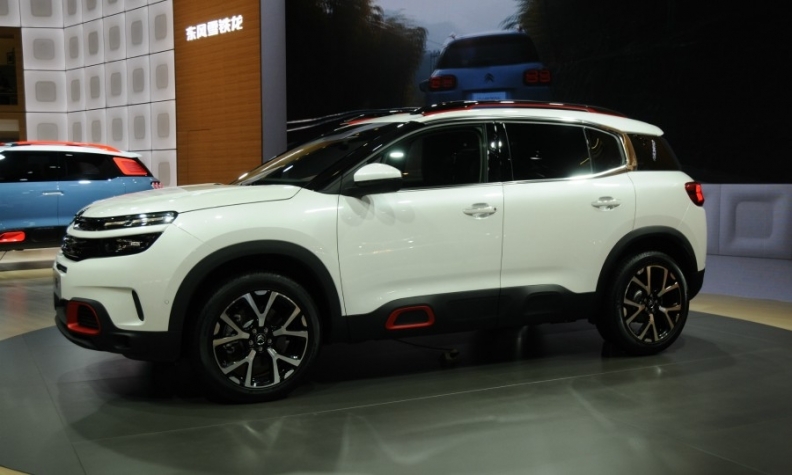 Three new crossover models, the Peugeot 3008 and 5008, and Citroen C5 Aircross, now account for 35 percent of the automaker's Chinese sales, Tavares said. PSA has taken some behind-the-scenes steps to stabilize its operations in China, Tavares. Dealer stock in its joint venture with Dongfeng, which holds a 12.3 percent stake in PSA, has been reduced to 43,000 units from 96,000. The joint-venture's break-even point has been reduced by 10 percent after a "360-degree rationalization," Tavares said. Fixed costs had been reduced 23 percent in PSA's other joint venture, with Changan, which produces and sell DS models.